Steep cliffs descending into the turquoise sea, colourful villages with closely-built homes, fresh calamari from local harbours – this is a part of Italy that I had longed to experience (especially after spending time in the busier cities of Rome, Venice, and Turin). Little did I know that I would have the opportunity to experience these things during my short trip to Italy in early April, 2016. Halfway through my 4 days in Italy, my friend’s family, with whom I was staying, decided to take a day trip to the sea. 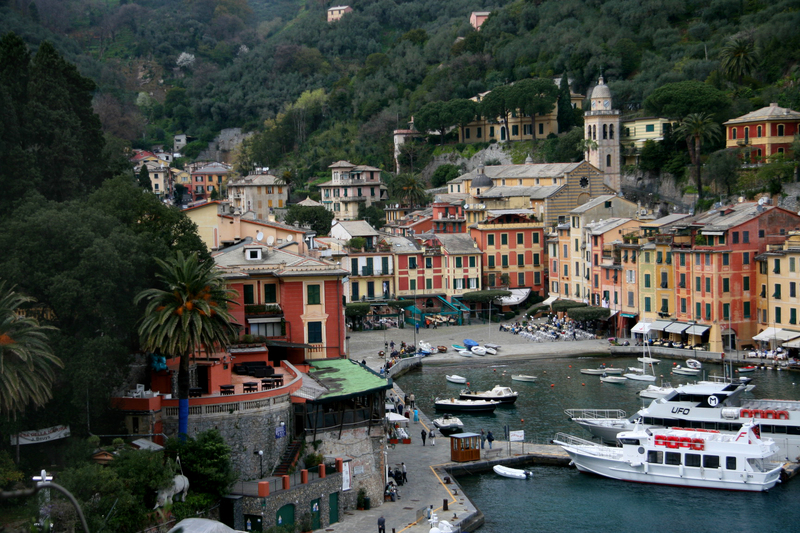 We travelled to Liguria, which is a region in Italy just south of Piedmont. Overall, the drive took just under 2 hours. 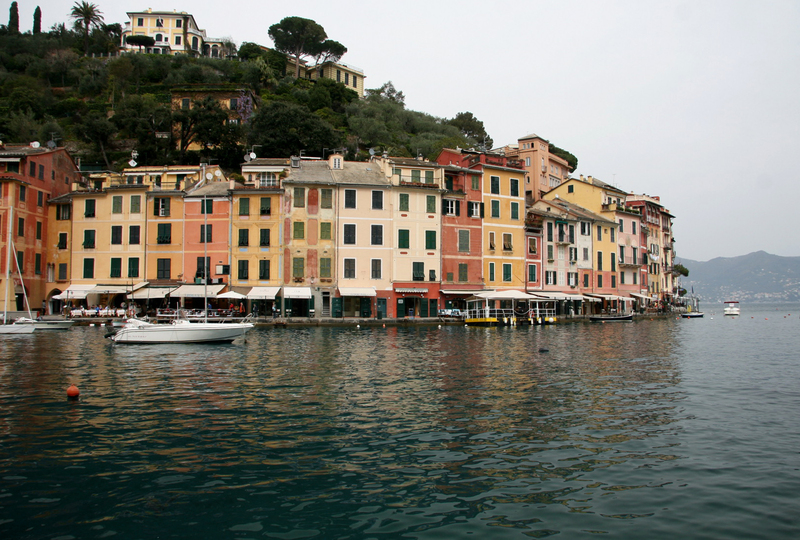 We skipped the larger city of Genoa and headed straight for the coastal towns of Camogli and Portofino (relatively close to Cinque Terre). We spent a good part of the day wandering through (and dining through…) the stunning towns with short stops in Santa Margherita Ligure and Recco for gelato and focaccia. Ultimately, I wouldn’t feel right if I didn’t give just a little bit of background information since, for the most part, dishes found in these two towns are connected to their histories. 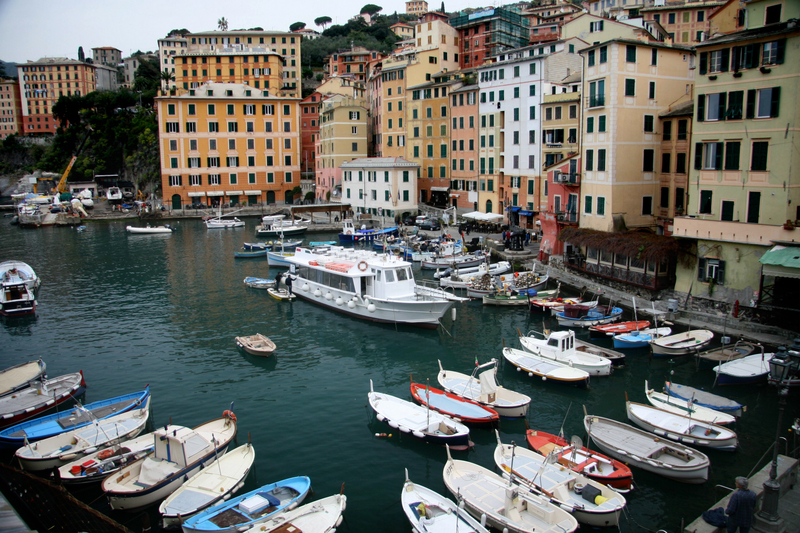 I can summarize things in a couple quick sentences: both Camogli and Portofino gained prominence in the middle ages as fishing villages. 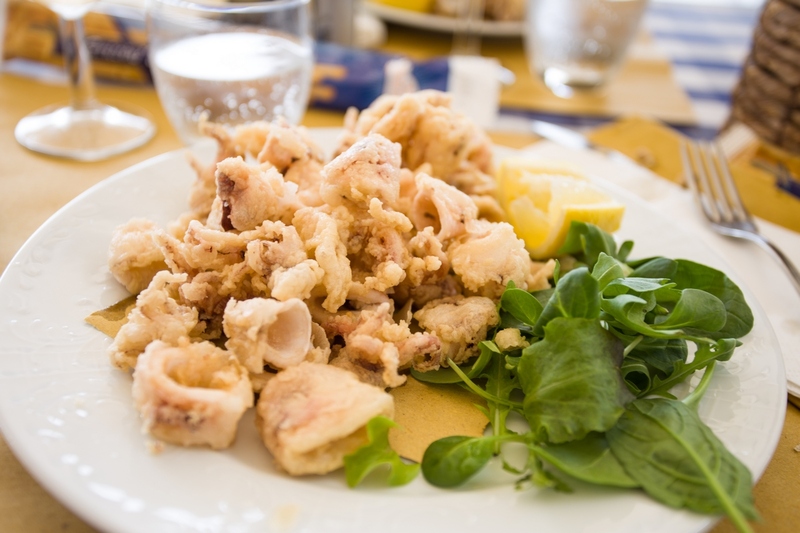 Therefore, (if you haven’t guessed it yet with my two references to calamari), eating seafood is extremely common and popular in these towns. 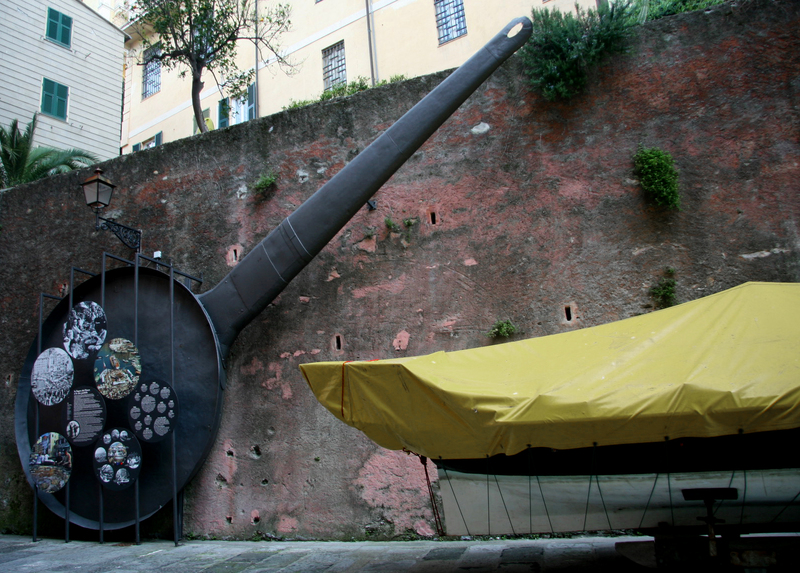 In fact, as you make your way to Camogli’s waterfront, you will see a giant stainless-steel frying pan on display (pictured below). 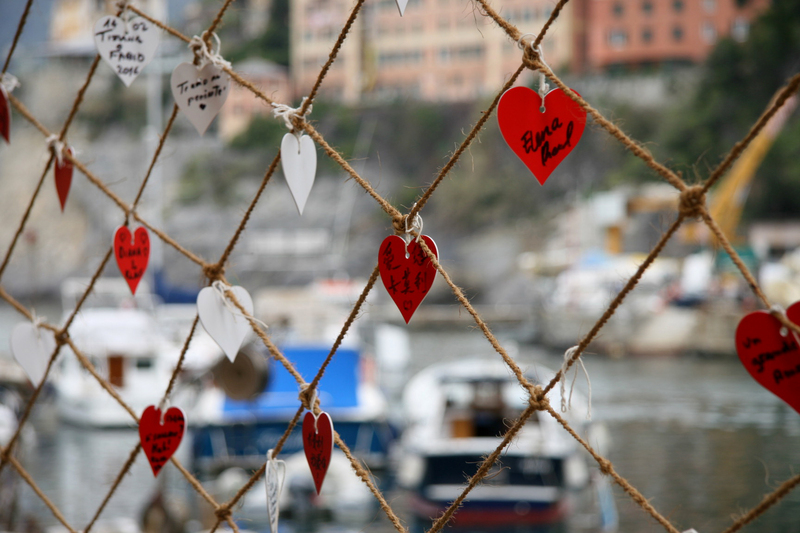 Every year, on the second Sunday of May, Camogli hosts the Sagra del Pesce. This annual Fish Festival, which started being held in 1952, involves frying a A LOT of fish in the giant pan to feed participants and visitors alike. Thousands of people attend this festival. (While reading up on Sagra del Pesce, since I was intrigued by it but wasn’t able to be there in May, I came across some info suggesting that visitors shouldn’t bother trying to drive to Camogli during this time – the tiny town experiences more traffic than its roads can handle. 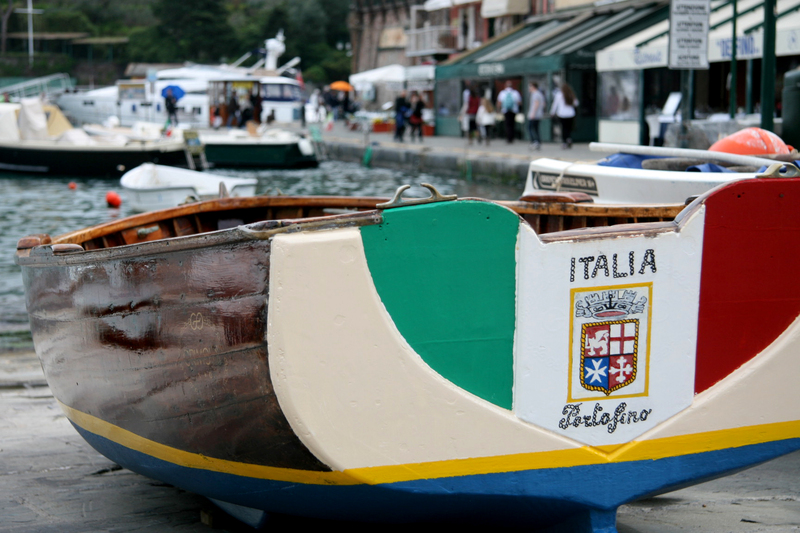 Taking a ferry or train from nearby towns, such as Santa Margherita Ligure, is recommended). The frying pan that is annually used to feed the town. The famous calamari. Please note that photo credit for the incredible shots of food in this post goes to the awesome blogger Electric Blue Food. Landscapes are mine. If seafood isn’t your cup of tea, I hope that the beauty of these two villages (shown below) and photos of other local dishes will inspire to to visit and experience these places. (I’ve always wondered if using a “dining” idiom is acceptable when discussing food…but I’m too excited to share the photos and can’t focus enough to think of something better. Now, it’s photo time). 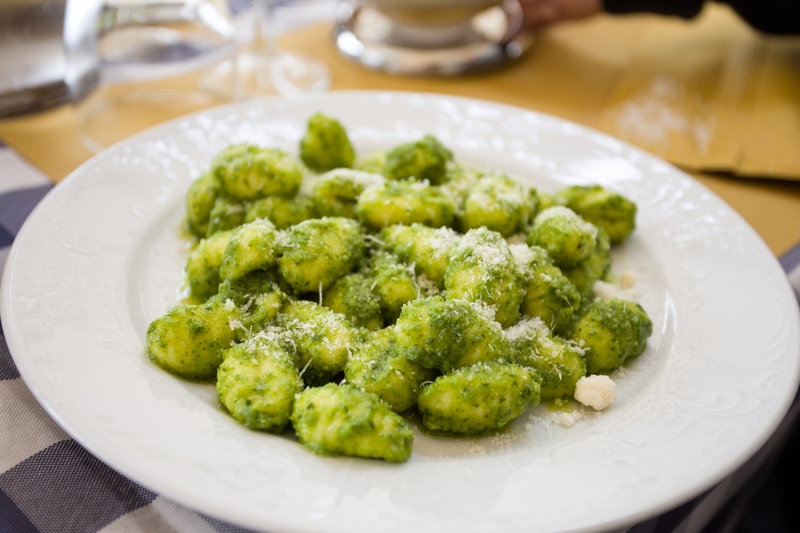 After the calamari appetizer…came pesto gnocchi. Pesto originates from Genoa, Liguria (hence Pesto alla Genovese). So, to this day, I can confidently say that this was not only the most delicious, but the most authentic pesto I have had. Again, thank you for the photo Electric Blue Food! As mentioned earlier, during our day trip, we also picked up focaccia from Recco (not pictured). Focaccia col formaggio (with cheese), is considered to be a unique variety specific to the Ligurian town of Recco. It’s great. Portofino and the Ligurian Sea. The vibrant colour of the homes, in contrast to the rich blue of the ses and the green of the forested mountainsides, was a way of helping the fishermen find their way back home. 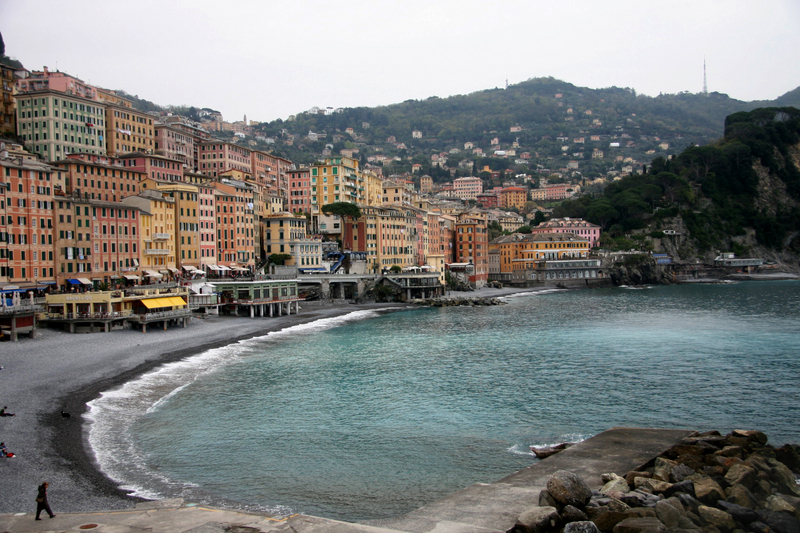 To sum things up, while Camogli and Portofino are more than doable day trips from Turin, once you step foot in these towns, you will definitely want to spend more than just a couple of hours there. Hopefully, I will have the chance to revisit these places in the future. More about Turin, Milan, and Lake Como coming soon! Thank you for stopping by! Thank you! I can never say no to visiting Italy. Every time I see that photo…my mouth waters. Wow, I am so in love with this place now! Can’t wait to see Italy someday..thanks so much for sharing! Thank you for your comment! 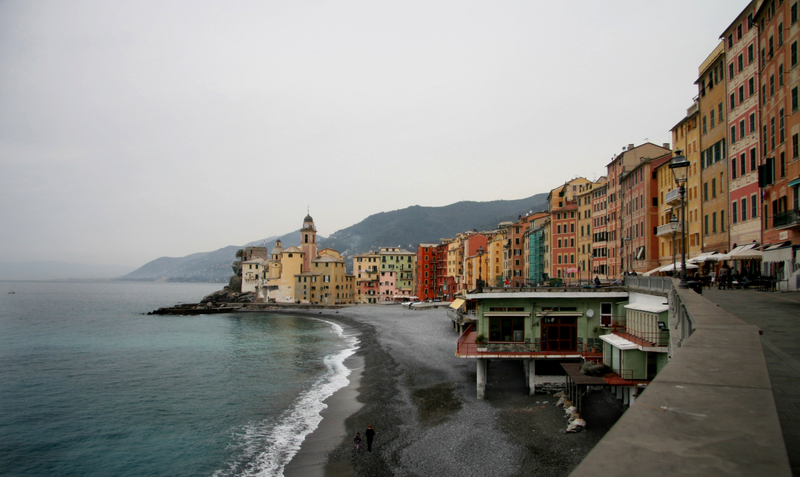 Camogli, which is a common place for Italians to visit more than international tourists, is really a hidden gem! We finally made it to Cinque Terre this year, and loved it, even though it was super-touristy. Didn’t make it to Portofino or Camogli, but that frying pan and fish festival sound beyond amazing. Would love to get my tastebuds on some of that fried fish one day! I am determined to make it back one day for the fish fry festival! Great!! post, I love this. Oh my goodness, this is unreal! Beautiful post. Will surely visit this in my next comeback to Italy. Thank you so much for your comment! I would definitely go back there a second time. It was wonderful.